What’s all this talk about MPLS? 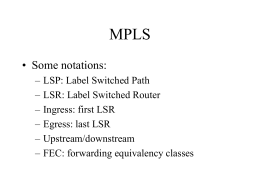 But what is MPLS anyway? • What applications could exploit MPLS? 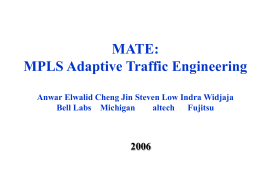 the traffic, B or C.
Why Do We Need MPLS? ? Blur Layer 2 and 3? where foo is the working group acronym. 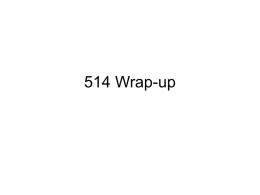 Labels are short, fixed-length values. same way --- they are in the same FEC. the LSRs do not need full IP forwarding table. 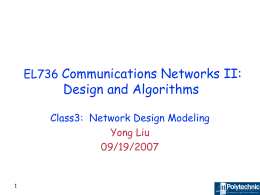 Did I get carried away on this slide? in the IP forwarding table of the LSR! 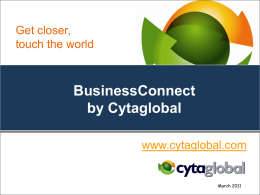 – TTL expired: traceroute depends on this! of ATM hardware and reduce the complexity of overlay networks. with the BGP next hop. Routers A and B do not need full routing tables. They only need IGP routes (and label bindings). for LSP in AS 444.
change, and delete label mappings for FECs. 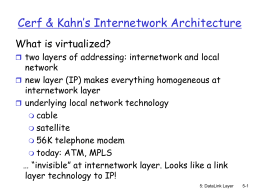 And what about that other Internet QoS model, diffserve? as one link with weight 1. 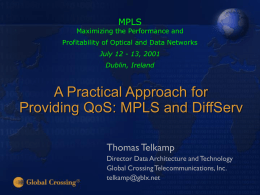 MPLS TE: Is it worth the cost? Why Not Use MPLS Tunnels? • Clean separation of administrative responsibilities. AT&T’s IPFR service is based on this RFC. Called VRFs, for "VPN Routing and Forwarding" tables.